1. These multi-studded soles with studs set right out to the edges of the sole provide great traction – on any playing surface. The stud pattern keeps Puma shoes from rolling when making cuts. 2. They’re padded for comfort and protection in all the right places. At the ankle and achilles tendon. 3. These Puma shoes are made on wide lasts for a better fit. 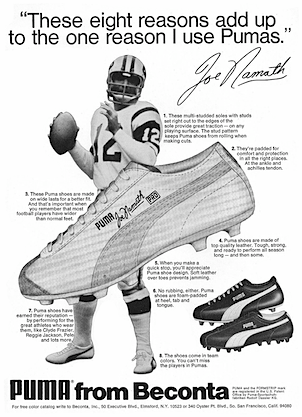 And that’s important when you remember that most football players have wider than normal feet. 4. 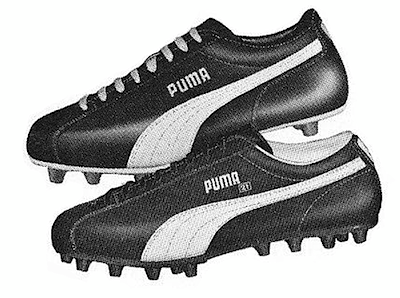 Puma shoes are made of top quality leather. Tough, strong, and ready to perform all season long – and then some. 5. When you make a quick stop, you’ll appreciate Puma shoe design. Soft leather over toes prevents jamming. 6. No rubbing, either. Puma shoes are foam – padded at heel, tab and tongue. 7. 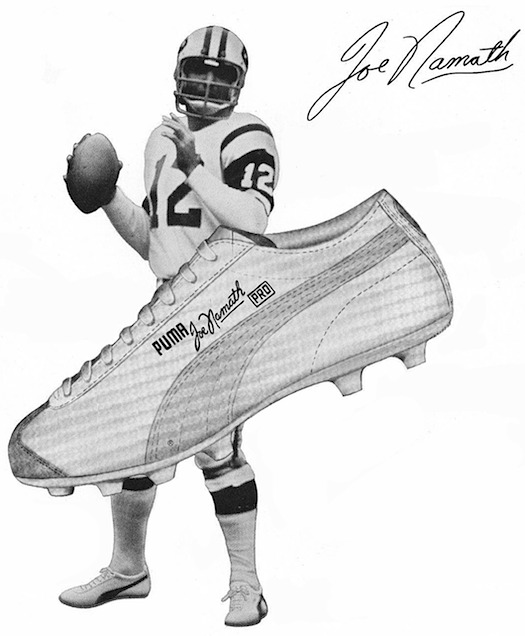 Puma shoes have earned their reputation – by performing for the great athletes who wear them, like Clyde Frazier, Reggie Jackson, Pele and lots more. 8. The shoes come in team colors. You can’t miss the players in Pumas.